Tooth decay has become a common dental problem these days. The prime cause for this condition is sugary food. Sugar from the food is the source for oral bacteria to produce acids and attack the tooth surface. The more you eat it, chances are more of having tooth decay. To save you from this misery, manufacturers have started selling and promoting sugar-free drinks such as diet soda. But is switching to such products a good idea? Let’s find out by reading this article is diet soda bad for your teeth or not. Also, you will come to know drinks that are good for your teeth and how can you protect your teeth from tooth decay. What do you mean by sugar-free drinks? Beverages that are devoid of any natural sugars in their contents come under the category of sugar-free drinks. Although some of them do not have any source of sugar added, there is another category which uses artificial sweeteners to maintain the flavor of the drink and still considered as sugar-free. Natural sweeteners like honey, agave, and stevia plant are considered as no-calorie sweeteners which are also used to maintain the taste and flavor of certain beverages. If sugar is not added externally to beverages, such as freshly brewed coffee, tea, milk, and water, then they are considered natural drinks that do not have a high potential to cause tooth decay. But on the other side, sugar-free drinks, such as diet soda, sports drinks, aerated drinks and drinks rich in citric acid or tartaric acid, can cause potential dental problems like tooth erosion due to high acidic content. What is the general mindset of people? Most of the people today believe that beverages that are labeled as sugar-free are safe for the teeth and develop a regular habit of drinking such drinks. However, the label doesn’t mean that your teeth will not be affected in any form. The acid content and artificial flavors and preservatives that are present in all the sugar-free drinks are equally harmful to the teeth as sugar. Tooth erosion although is not a well-known dental problem but is dangerous than a cavity. It slowly demineralizes the tooth surface and in severe cases can even dissolve the tooth structure. What are the adverse effects of acidic drinks? You would be surprised to know that diet soda can cause equal amounts of tooth erosion as regular soda with sugar. Certain juices that contain citric acids or tartaric acids, like orange juice or lemon juice, have similar effects of tooth erosion on the enamel surface. Is there any benefit of sugar-free drinks? 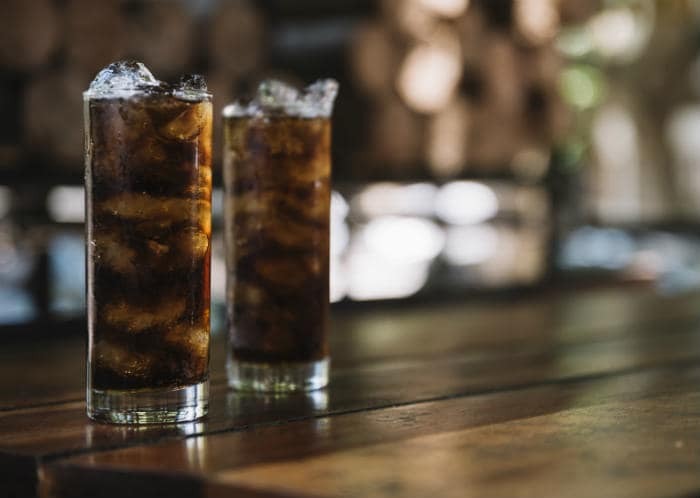 The two benefits of sugar-free drinks that attract the population to consume it are weight loss and prevalence of reducing the chanced of diabetes. Sugar-free drinks or drinks that contain natural sweeteners cut down the extra calories that are added in sugar-laden beverages. Thus, they prevent weight gain and also help in reducing diabetes in individuals. Also, they provide the flavor, taste, and benefits of staying sugar-free and allows an individual to enjoy a drink once in a while. What can you do to protect your teeth? 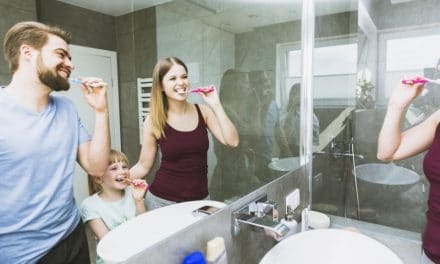 There is no short cut to maintain clean teeth and good oral hygiene. It is essential always to follow a good oral healthcare routine. Try to drink acid containing drinks with a straw to minimize the contact of the drink with the teeth. Make a habit of drinking milk or water after a meal to neutralize the saliva. Milk is one of the natural sugar-free drink that neutralizes the saliva and maintains the pH in the mouth. It prevents tooth erosion and also provides certain minerals like calcium and phosphate which help the tooth in the remineralization process. Cheese has also proven to be equally helpful in reducing harmful effects of acidic foods and providing calcium and phosphate to the tooth surface. Do not brush right after consuming acidic beverages or food. Give rest of at least 30 minutes before you brush. Brush with fluoride toothpaste to strengthen the enamel and prevent the teeth from acid erosion. Keep your interdental areas clean by using floss and a fluoride-based mouthwash. Always consult a dentist to have a regular dental check-up and to get advice on the suitable fluoride products ideal for your oral hygiene. Tooth erosion is an irreversible process and can prove to be dangerous as compared to a tooth cavity. Diet coke or any other similar drinks are bad for your teeth in the long run as they can cause tooth decay. Proper nutrition comes from a balanced diet. It is better to consume sugary food or drinks as a treat instead of having them regularly with your diet. Also, it is wise always to stay updated on the ways you can prevent tooth decay or acid erosion while enjoying your drink. Your smile is the one aspect that you don’t want to lose. Always check the contents of the drink that you are buying and see if it’s worth avoiding. Follow the preventive measures carefully and consult a dentist whenever you feel the need or notice any changes in the tooth surface or oral tissues.